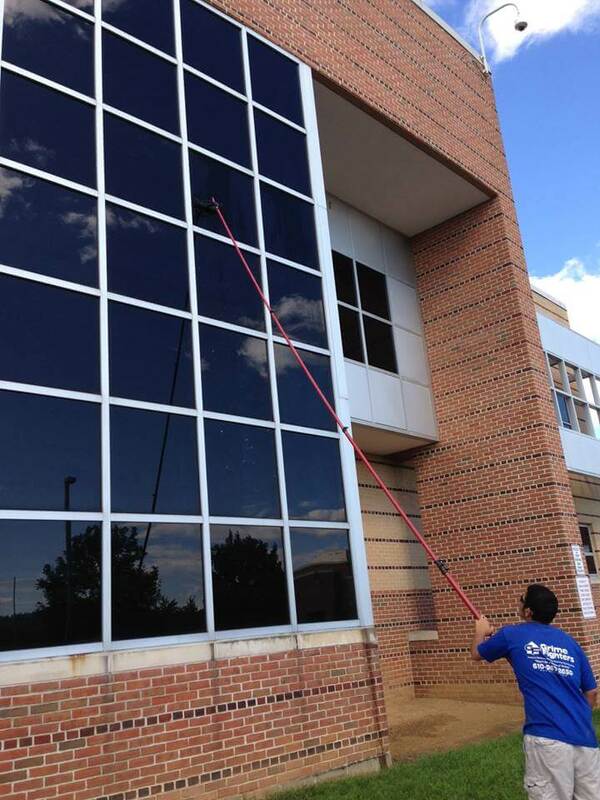 Grime Fighters offers top notch commercial window cleaning services throughout the Lehigh Valley, PA, area! 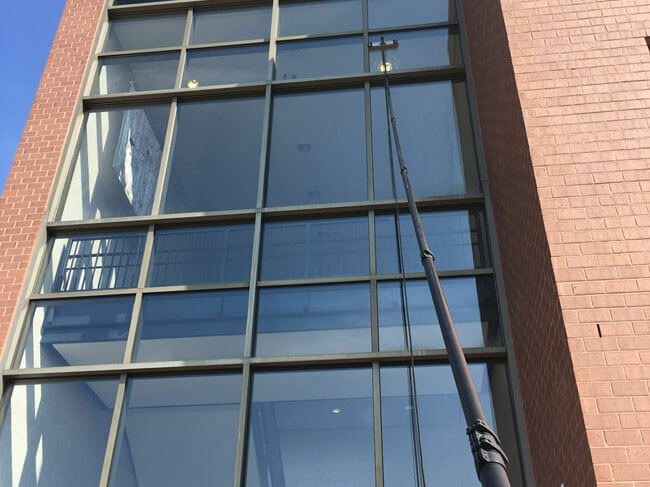 Our pure water window cleaning technology allows us to safely and effectively clean windows up to 5 stories, without our feet ever leaving the ground ! 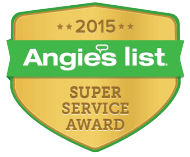 Trust us to handle your next window cleaning project. 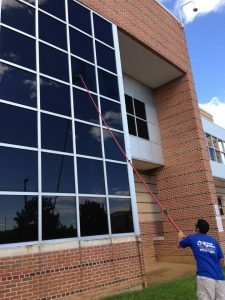 We offer reasonable rates and use cutting edge techniques as well as traditional window washing methods to assure the best results possible. 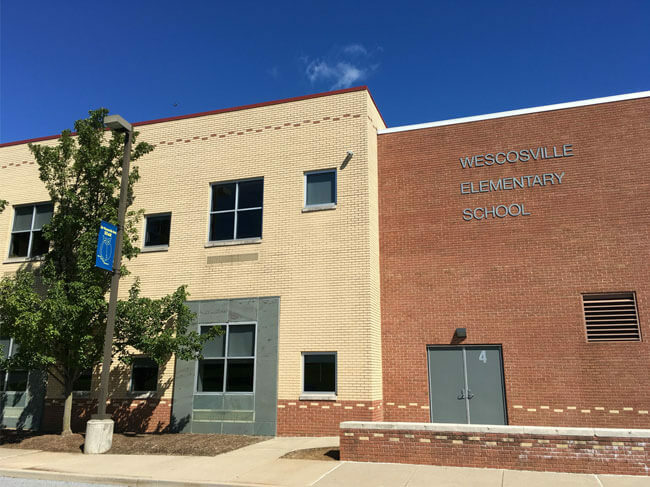 How do we clean commercial and building windows? Grime Fighters uses a variety of techniques to clean windows in large and small buildings. Traditional window cleaning is our go to method for cleaning low and interior windows. In the hands of a trained professional, a squeegee can produce excellent results. For high windows, we use our pure water window cleaning systems. Ultra purified tap water is run up a specialized pole and brush, instead of using ladders. This method is safe, and leaves your glass shining like brand new! 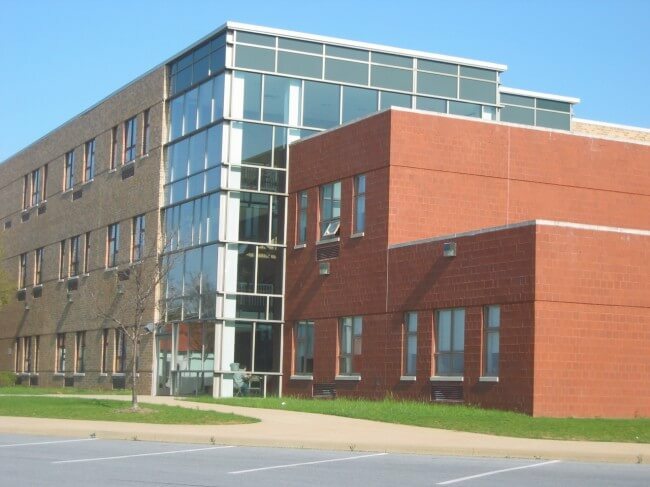 Grime Fighters also offers an array of post-construction window cleaning, hard water treatment, solar panel cleaning and regular contract window cleaning services.